I have had these rings cast and sizes available are L/M and M/N only. They are quite weightly as they are solid sterling silver with a rough but polished finish. Please note it is possible to see a tiny sprue hole. 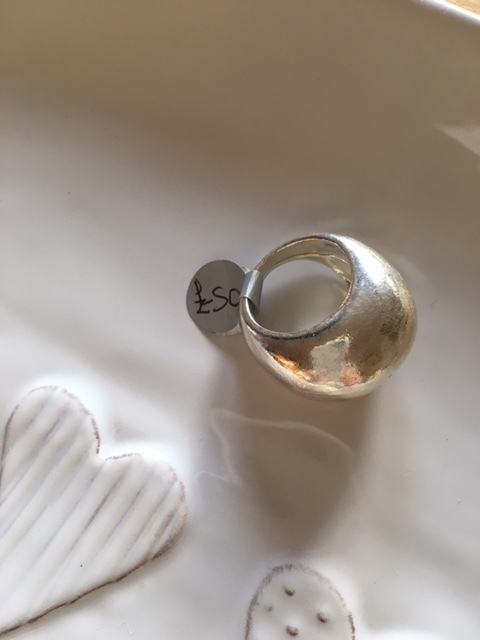 They are hallmarked by the London Assay Office and include my makers mark.